Dell has been expanding their line of Linux laptops in recent months, offering Ubuntu editions of a MacBook Pro competitor and the XPS 13 thin - and - light ultrabook. But those two particular notebooks are pricey. If you’re looking for something cheaper, you’re in luck—Dell recently rolled out several inexpensive Ubuntu laptops that compete with Chromebooks and cheap Windows laptops. The Inspiron 14 3000 Series Ubuntu Edition is a 14-inch laptop with a low-resolution 1366x768 display, a 500GB hard drive that spins at 5400 rpm, and Intel HD graphics. It starts at $219 with 2GB of RAM and a dual-core Intel Celeron N2840 processor. For $279, you can get 4GB of RAM and a quad-core Intel Pentium N3540 processor. You’ll also find the other components you’d expect—a 720p webcam, an integrated microphone, 802.11b/g/n Wi-Fi, Bluetooth, a full-size keyboard, a multitouch-enabled touchpad, an SD card slot, USB 2.0 and 3.0 ports, and an HDMI port. This isn’t a sleek ultrabook, and it starts at 3.9 pounds. But it is an inexpensive Linux laptop with a large screen and full-size keyboard. 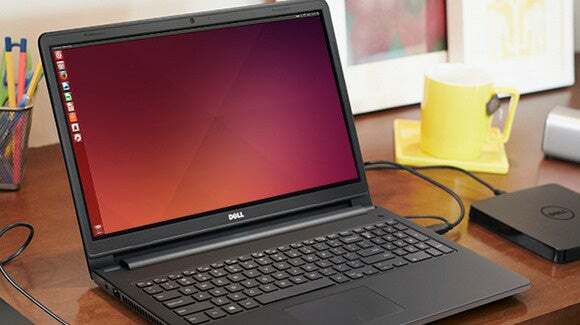 Because it ships with Ubuntu already installed, Dell is guaranteeing that its hardware will actually work with Linux. Sure, retail stores are packed with cheap Windows laptops—but you never know if they’ll work properly with Linux. People associate Linux with shoddy hardware and driver support for a reason, even if the darkest compatibility days are in the rear view mirror by this point. The Inspiron 15 3000 Series Ubuntu Edition is larger, offering a 15.6-inch display—but one that’s still only 1366x768 resolution. This model comes with 4GB of RAM standard, a 500GB 5400 rpm hard drive, and Intel HD graphics. Upgrading to a $249 version gets you a dual-core Intel Celeron N2840 processor. For $279, that’s bumped to a quad-core Intel Pentium N3540 processor. The other specs are largely the same as the smaller Inspiron 14 laptop, although the full-size keyboard on the Dell Inspiron 15 comes complete with a numeric pad. Due to its larger size, this laptop starts at 4.71 pounds. It isn’t as light, fast, or high-resolution as Dell’s more expensive Ubuntu laptops, but hey, that’s what you sacrifice to get such an inexpensive laptop. 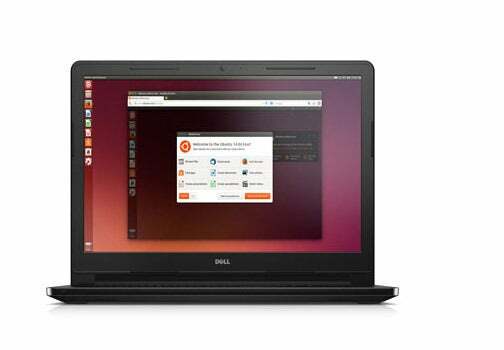 Dell is undercutting other Ubuntu laptop manufacturers here, too.System76’s cheapest Ubuntu laptop starts at $549 on sale. Zareason’s Linux laptops start at $699. Specifications aside, the prices are what’s important here. It’s now possible to buy inexpensive Ubuntu laptops from a major manufacturer. They’re guaranteed to be compatible with Linux. That’s a big win not just for Ubuntu, but for the Linux community in general. You should be able to install any Linux distribution you want on these things.